Intuit is expanding its consumer and small-business financial services to tablets and smartphones with its purchase of mobile bill pay provider Check for approximately US$360 million. Check’s service has thus far attracted more than 10 million registered users. 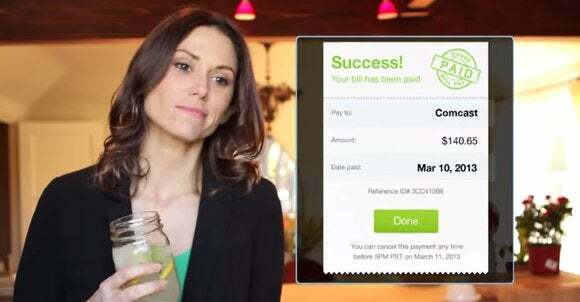 From their phones, Check customers can monitor their bills and accounts, as well as receive alerts when bills come due and have those bills paid automatically. Intuit plans to pair Check’s mobile service with its own desktop finance management software, Quicken, as well as with its online checkbook, Mint.com. Intuit offers a mobile version of Quicken for iOS and Android, though the app does not have the ability to pay bills. In addition to Check’s sizable customer base, Intuit wanted the company’s consumer payments capability, which it could use to streamline interactions between consumers and small businesses, which Intuit is also pursuing with products and services such as QuickBooks and Intuit Payroll. Based in Palo Alto, California, Check was founded in 2007, under the name Pageonce, to provide an easy way to store passwords for multiple iOS apps. In the U.S. alone, people paid more than 14.7 billion bills in 2013, nearly half of which were paid online or with mobile apps, according to financial services analysis firm Aite Group. For 2013, Intuit generated $4.2 billion in revenue for its line of finance software for small businesses and consumers. Once the transaction closes, Check will become a business unit within Intuit’s Consumer Ecosystem Group. Check CEO and co-founder Guy Goldstein will serve as an Intuit vice president. Intuit expects the deal to be completed by the end of the year.